Aurora Gull for her fictional journal entries chronicling a student’s struggle and growth in her first year of high school. Jewel Moonias for her essay on a real encounter with a rare and injured white wolf. Taeo Baxter for his story on a 16-year-old Métis boy’s spiritual quest to find his true self. Cole Stevens-Goulais for his one-act theatrical storytelling piece about his grandmother’s death. Cole is from North Bay. Isaiah Aguonie for his story about two wolves on a long and treacherous journey to the south side of Moonlight Island. Isaiah from Sheguindah First Nation on Manitoulin Island. Courtney Miller for her fictional story about a young girl’s experience losing her father in a drinking and driving accident. The Honourable Elizabeth Dowdeswell, Lieutenant Governor of Ontario, presented the awards at a Queen’s Park ceremony today, along with the Honourable James Bartleman, 27th Lieutenant Governor of Ontario and Dr. Shafiq Qaadri, MPP and Parliamentary Assistant to the Minister of Citizenship and Immigration. Submissions are accepted from youth 18 years of age or younger at the time they submit an entry, enrolled in an Ontario school, self-identify as an Indigenous person, and be a permanent resident of Ontario. “These six young authors are changing our world for the better. 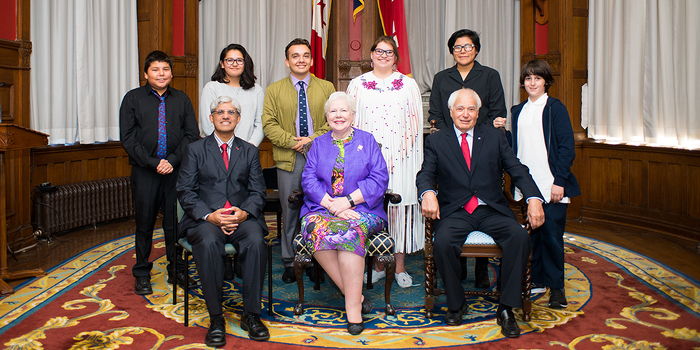 They are contributing to a dialogue beyond their own communities and inspiring Ontarians to take notice of what it means to be an Indigenous youth in our province,” said Elizabeth Dowdeswell, Lieutenant Governor of Ontario. 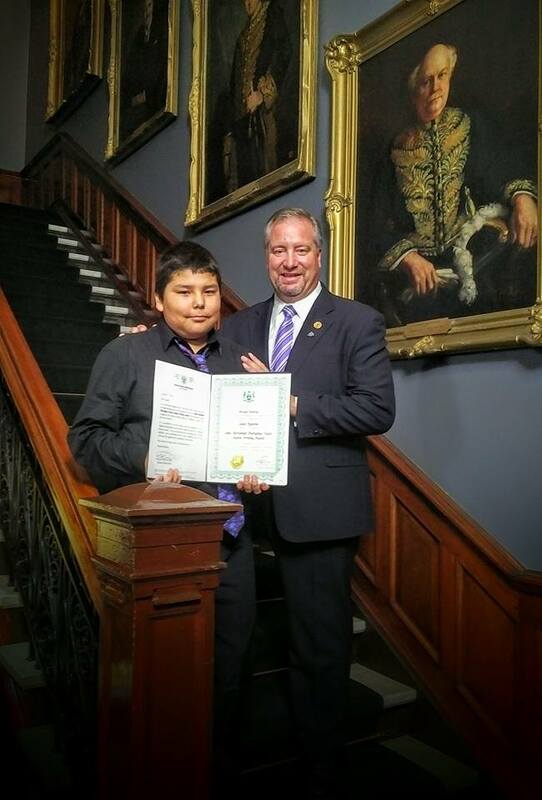 “Each year, I am inspired by powerful submissions put forward by Indigenous youth from across the province. 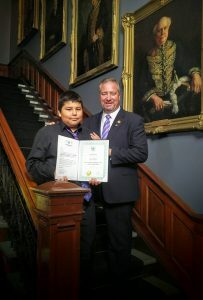 These six recipients are pillars of strength and courage, as they share their unique perspectives, which are essential to understanding our First Nations communities,” explained James K. Bartleman, former Lieutenant Governor of Ontario. The livestream video of this presention can be found by clicking here. To view this article from its original source, click here.